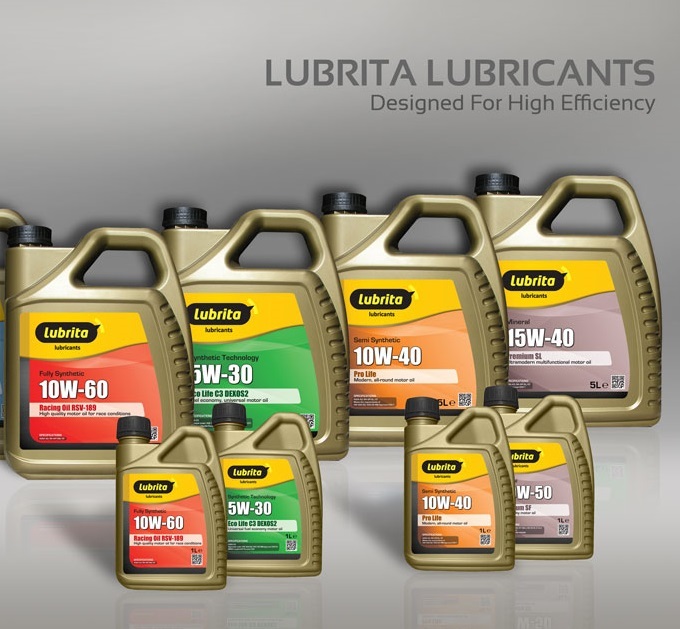 Lubrita lubricants, oils and greases meets the higest standard of packaging. Available lubricant labels with languages: English, Spain, Russian, German, French, Arabic, Chinese. Included EAN (bar codes) and QR codes for each product. We are more as happy to assist our Lubrita Distributors.